The Drum is a film commissioned by the National Arts Council for the Silver Arts Festival 2016, a festival connecting the elderly with the arts and will premiere in Clermont-Ferrand International Short Film Festival in France this February. It will also be premiering at The Smalls APAC Film Festival in Singapore held at The Projector on the 11 February 2017. 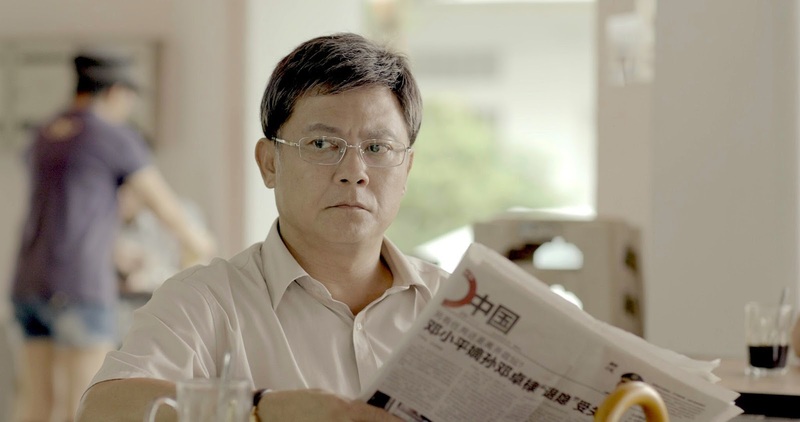 The film is directed by Ler Jiyuan, more known for this television work on Channel 5 such as Code of Law (2013) and Zero Calling (2014). 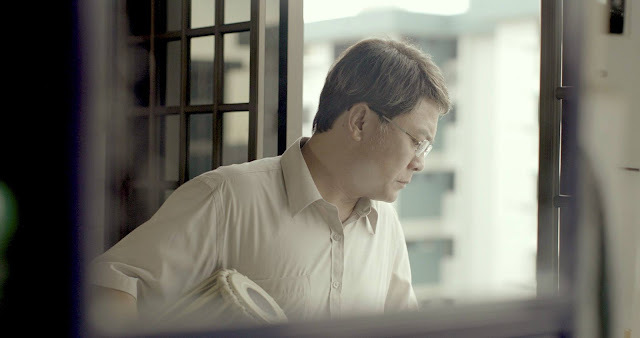 In this film, he returns to collaborate with writer Dave Chua. They previously worked together on the telemovie adaptation of Gone Case (2014). 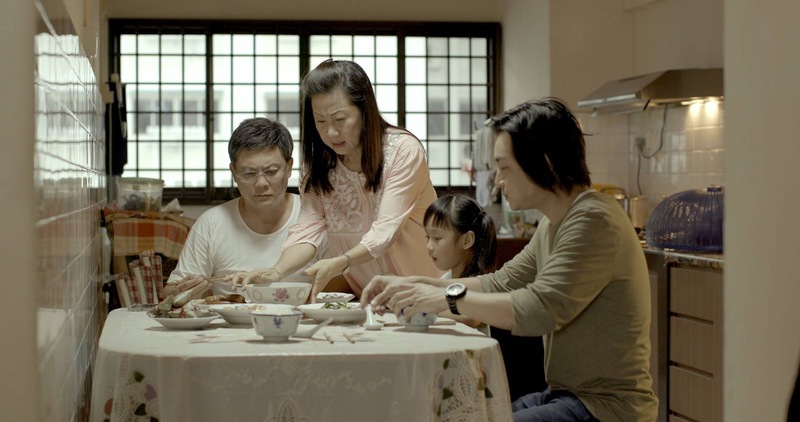 The Drum is an unhurried and tender view of a retired man, Kang, played by ex-TV actor Wang Yu Qing (王昱清), who brings a subtle mix of lugubriousness, frustration and broken vigour as he struggles against the onset of a later-life crisis. His problems seem plenty, with his forced retirement from the army, his divorced son’s returning home to live with him and the haunting thoughts of death. These numerous obstacles are beset on him to create a sympathetic character. However, it taints the film with a slightly heavy touch of melodrama and leads us early on with an expectation of cliché. Fortunately, it never leans on those dramatic aspects too much and veers itself right to focus more on Kang's quiet inner struggle. The refreshing twist and hook of the film is a pair of Indian tabla drums left behind by his ex-tenant, through which he attempts to seek solace. It also provides a humorous juxtaposition when Kang takes a class to learn the table. Delightfully, director Ler manages to mostly avoid using the instrument and the culture it comes from in a gimmicky way or succumb to tokenism. The resolution is poignant though arguably rather simplistic, with Kang's problems not really resolved in any tangible and meaningful way. As much as the arts is a meaningful outlet and has its therapeutic capacities, it feels as though Kang's many problems are swept under the rug rather than addressed. Overall, the film is a beautifully shot, openhearted look at life as an elderly, with a great sound design and score helped by bursts of tabla, creating a potent mix of the sentimental and at times the surreal, either for humour or dread. Ler Jiyuan is a director based in Singapore, including high-profile TV drama serials Fiends and Foes, Code of Law, The Pupil, In Cold Blood, Perfect Deception, Confessions of Crime, Anything Goes and Zero Calling. For more details and purchase tickets, head down to this link.